In recent months, a Des Moines man stabbed his dog to death inside his home and was charged with animal torture; someone dumped a litter of newborn puppies into an icy river; a man threw an emaciated chihuahua in a crate into a dumpster and left it for dead; and a male juvenile tied the mouth of a pit bull shut with wire, urinated on it and left it in a cage. Companion pet advocates, dog breeders, agriculture backers and lawmakers hope proposals to toughen the penalties and increase fines will crack down on those who abuse, neglect and torture companion animals. “We’re seeing more active, violent crimes against animals occurring, and that’s a disturbing trend for us,” says Scott Wilson, the cruelty intervention coordinator for the Animal Rescue League of Iowa. Advocates hope changes to the law — specifically the definitions of adequate food and shelter, animal abuse, neglect and torture — will give law enforcement officers and prosecutors more grounds to charge individuals accused of those actions. Senate File 369 addresses many of the definitions of animal endangerment, neglect, abuse and torture in specific detail and adds a new offense of animal abandonment. It increases the penalties for first-time offenders in most categories up to a Class D felony (a sentence of no more than five years and a maximum $7,500 fine) for animal torture and a Class C felony (a sentence of no more than 10 years and a maximum $10,000 fine) for repeat torturers. Otherwise, law enforcement officials say their hands can be tied. In Iowa County, for example, the sheriff’s department released a statement saying the owner of three dogs who were found on an abandoned farm in sub-zero temperatures in February did not meet the neglect definition by law because the dogs had water and shelter and were regularly fed. A neighbor called the department after she found one of the dogs allegedly frozen to death, still chained to his kennel. A local rescue group took in the other two dogs. Prosecutors say they have previously struggled to prove animal torture in some cases because of the burden to prove, under current Iowa law, that the alleged offender was depraved or sadistic when committing the act. The Iowa Court of Appeals, in its ruling, overturned Meerdink’s conviction and dismissed the case. The court acknowledged that nowhere in Iowa law is “depraved” defined, which is what the state used as its reason for charging Meerdink with animal torture. The appeals court wrote that while the state proved Meerdink killed the dog, no one saw him do it, nor was there evidence or testimony to prove he acted with depraved intent to cause death, nor did he look happy or eager after the dog was dead. Under Senate File 369, depraved or sadistic intent is explained to be an act that constitutes an intentional, knowing or reckless infliction of prolonged or repeated physical pain that results in suffering and serious injury or death. This exemption is removed in Senate File 369. A second bill, Senate File 591, also has been placed on the calendar and could be called for debate. This bill, which Anderson says is the least impactful bill of the three, originated in the agriculture committee, and removes depraved or sadistic intent, increases penalties, but does not address neglect or the owner exemption in Iowa’s current law. Sen. Tom Shipley, a Nodaway Republican, sponsored the bill in light of the issue in his district in Pottawattamie County in which a trainer abandoned dogs he was caring for and left them to die. The county attorney was criticized for not doing enough, Shipley says, but was limited by law and couldn’t prove animal torture. House File 737 was scheduled for debate in the Iowa House of Representatives on March 28. This bill also proposes definition changes and increases penalties. It also proposes definition changes and increases penalties. House Speaker Linda Upmeyer, a Clear Lake Republican, wrote in her March 8 newsletter that individuals who abuse or torture animals need to be held accountable for their actions. According to the Legislative Services Agency, the number of those convicted of more serious animal cruelty crimes under the new definitions and penalties proposed in House File 737 would increase based on the number of convictions for related animal crimes in the 2017-18 fiscal year. A serious misdemeanors for animal neglect that caused serious injury or death to the animal would result in 44 convictions under proposed changes verses 21 convictions in 2017-18, per current Iowa law. There would be 30 aggravated misdemeanor convictions verses 16 for animal mistreatment, which is abuse and torture. Eight individuals would be convicted of a Class D felony for animal mistreatment, and seven would be convicted of a Class C felony for animal mistreatment. There were no Class D or C convictions for animal mistreatment in 2017-18. Dustin Young, 36, of Avoca, turned himself in to the Pottawattamie County Sheriff’s deputies in early March. He had pleaded guilt in November to 12 misdemeanors for animal neglect after dozens of dogs in his care were found neglected, dead or missing last spring. He’ll spend 30 days in jail but will be allowed to leave for up to 50 hours of work a week. Three of the 30 dogs at Young Gunz Kennel near Oakland were found dead in spring 2018. Others were malnourished, dehydrated or had general neglect. The animals’ owners had taken them to the kennel to be trained to hunt. A male juvenile in Des Moines was charged with one count of neglect — similar to the penalty of stealing five gallons worth of gas, according to police — after he allegedly tied electrical wire around a dog’s muzzle, urinated on it and left it covered in feces in a kennel earlier this year. The dog’s water bowl was full of blood from its injuries. Chad Toney turned himself into Benton County Sheriff’s Office authorities in February after he was accused of taking his roommate’s cat and torturing it. He faces animal abuse and burglary charges for stomping on the cat, pushing it into the snow and mocking the cat’s fear. Police say Toney sent pictures and videos to the cat’s owner showing these actions. Rebecca Woods was charged with two counts of animal neglect, a simple misdemeanor, in Polk County in January after she left two dogs in the bitter cold without proper shelter, food and water. She turned over the dogs to the Animal Rescue League. A Worth County judge denied a request from Barbara Kavars to keep 13 of her 154 animals that sheriff’s office and animal rescue officials seized from her home in November. The judge said the evidence of neglect was “overwhelming,” according to court documents. “Kavars either is being untruthful regarding the condition and her care of the animals, or she does not comprehend the actual conditions which were in existence at the kennel and the status of the dogs and pups in her care,” the judge wrote. Kavars has not been charged. The judge noted she had failed to provide sufficient food and water or adequate shelter, and did not stop animals from fighting, which resulted in the death of one. Someone threw a litter of newborn puppies from a bridge into icy water near the Iowa-Missouri border in early January. Each puppy weighed about 10 ounces. One still had its umbilical cord attached. All of the puppies survived and were adopted. Law enforcement officials are still searching for the person responsible. Des Moines Police arrested Martell Dawayne Holloway Simpson in December after they found his dog had been stabbed to death with a pocket knife. He was charged with animal torture. When police arrived on scene, the dog was lying in a trash bag where it had been stabbed. The responsible individuals in most of these cases will receive a slap on the wrist, a simple misdemeanor for a first offense, companion animal advocates say. The Animal Rescue League of Iowa has no lawful authority but serves as a resource for citizens and law enforcement agencies. 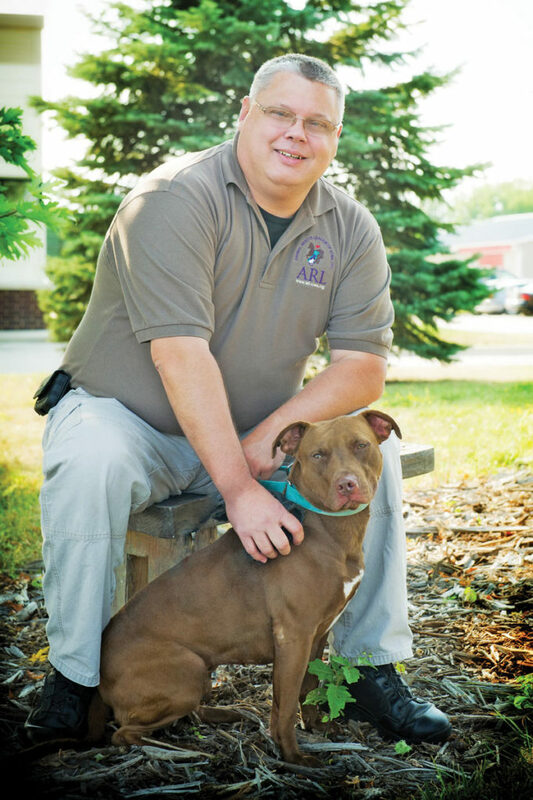 If there is a suspected case of animal abuse or neglect, ARL officials help the reporting party connect with the appropriate law enforcement or animal control officials. 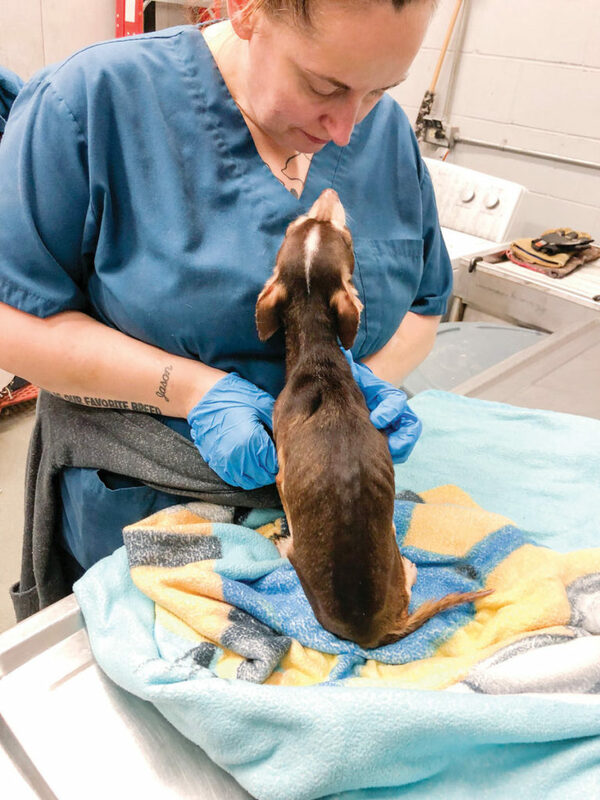 The ARL also helps law enforcement agencies collect evidence and impounds rescued animals and cares for them until they are adopted or a decision is made about their care. In 2016, the Federal Bureau of Investigation began tracking cases of animal abuse in four categories: neglect, intentional abuse and torture, organized abuse, and animal sexual abuse. Tracking these offenses should reveal a more complete picture of animal cruelty and help determine if studies that have shown animal cruelty is a precursor to a more serious crime are accurate, according to the FBI. The National Sheriff’s Association has cited studies that link animal abuse to other crimes, specifically the murders committed by serial killers Ted Bundy, Jeffrey Dahmer and the “Son of Sam” killer, David Berkowitz, according to the FBI. That’s part of the reason Sen. Brad Zaun, an Urbandale Republican, wanted to include language in SF369 that allows a judge to require a person who is convicted of animal mistreatment to undergo a psychological or psychiatric evaluation. The person would be required to undergo an evaluation if he or she is a juvenile or an adult who has committed neglect that is punishable as an aggravated misdemeanor or a Class D felony, animal torture, animal abandonment or animal endangerment. Zaun says he’s worked on changing the law for years since he served on the Animal Rescue League board and saw firsthand the animals that are rescued. “I truly believe for the first time in many years, there will be a bill that will be offered on the Senate floor,” he says. SF369 has been placed on the Senate calendar for debate. The FBI reported it would take three to five years before any animal cruelty data could show a pattern. Wilson agrees the mental health component is important. Most people who commit egregious crimes against animals — those that result in the serious injury or death of the animal — won’t stay in prison forever. Wilson points to a 2017 case in which a Warren County woman operated a “no-kill” pit bull rescue. Upon moving out, three dogs were found dead in crates. Upon further investigation, another 19 dogs were still on site, one of which was near death because it had been attacked by the others. The woman pled guilty to 22 counts of animal neglect and was sentenced to four years in prison. All but 30 days was suspended, and she received two years of probation. “This is the sort of case where she’s probably going to start this pattern again, where psychological counseling might help her avoid collecting large numbers of animals and doing this again,” Wilson says. 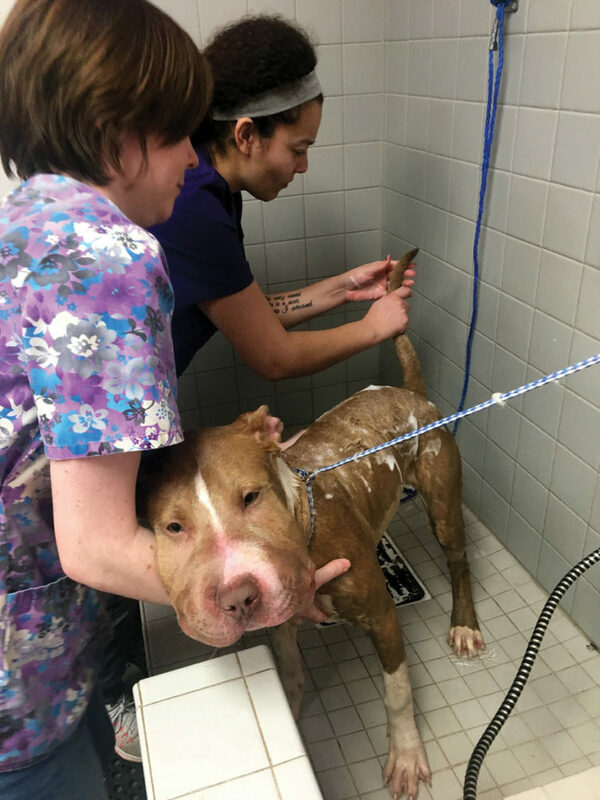 He says he hopes changes in the penalty for animal crimes in Iowa will result in more help for those who commit the crimes, specifically for the juvenile who wired the pit bull’s mouth shut and urinated on it. “You hope that, with a juvenile, there will be some sort of psychological counseling, but until they charge him with animal torture, there’s no requirement,” Wilson says. HF738 addresses dog breeders in the state in an attempt to shut down “puppy mills,” the term given to a commercial dog breeding facility or operation in which the health of the dogs is disregarded in order to maintain low overhead and maximize profits. The bill, currently in the House Ways and Means Committee, more clearly defines a commercial breeder, a commercial rescuer and a commercial transporter. 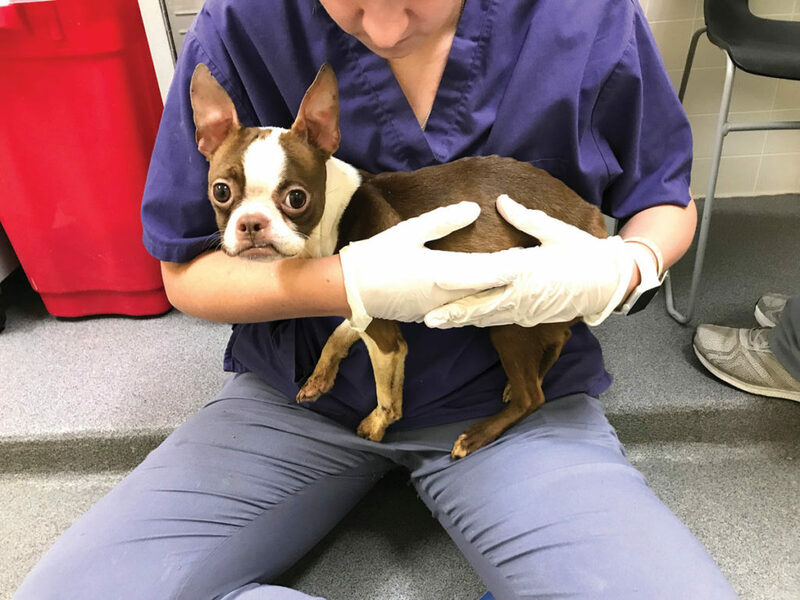 It also gives guidelines to the Iowa Department of Agriculture, which oversees licensing for breeders to require veterinary records, evidence of financial responsibility and ability to care for the animals, and an estimate of how many dogs are to be maintained. Separate guidelines will be required for commercial dealers. Within the proposed bill is specific language for how a breeding facility should be operated and the standard of care animals must receive by law. Sen. Brad Zaun says he has worked to change Iowa’s animal cruelty laws for years since serving on the Animal Rescue League board where he saw firsthand the condition of rescued animals. Iowa is third in the nation, according to the Humane Society of the United States, for the number of puppy mills it has in the nonprofit organization’s 2018 Horrible Hundred report. 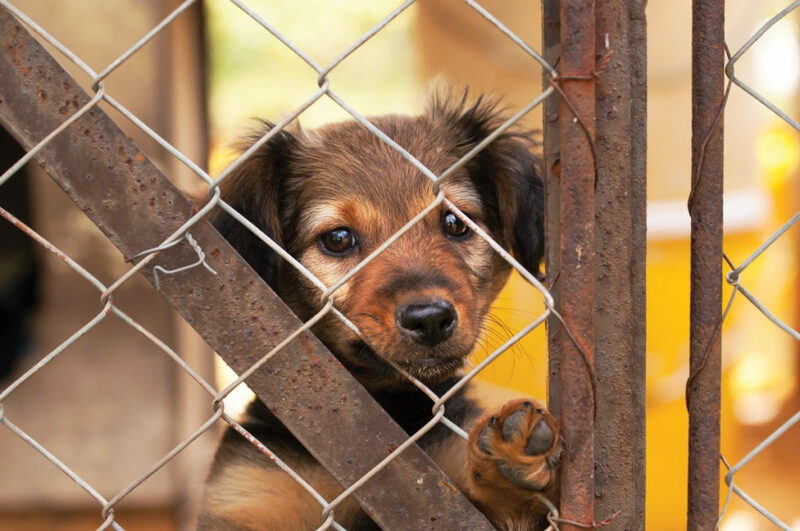 The HSUS, for six years, has published a list of 100 problem puppy mills and dog sellers to help spread awareness about cruel conditions in some large pet breeding operations, according to the organization. The information is from public Animal Welfare Act records through the U.S. Department of Agriculture. Two of the Iowa breeders had been listed in previous years’ reports. Those breeders that were noted were cited by the USDA for having emaciated and underweight dogs; live maggots and other insects in dogs’ food; diseased dogs with eye infections, skin conditions, matted fur with feces in it; untreated dental disease and open wounds and unsafe housing that could cause injury, among other issues. In several cases, USDA inspectors noted that dogs that had been previously noted for injury or infection were missing and no longer on site. There was no reason given for their absence in inspection reports. Anderson, with Iowa Voters for Companion Animals, says every dog breeder in the state gets a bad name when puppy mills are allowed to operate. Iowa has more than 500 federally and state-licensed commercial dog breeders and dealers. California and Maryland, along with 250 cities or municipalities in other parts of the country, have banned the retail sale of commercially bred dogs from pet stores. This means puppies raised in Iowa cannot be exported into those states or cities, which hurts legitimate breeders, Anderson says. “It’s shutting off markets for reputable dealers,” she says. The other issue with puppy mills that often isn’t reported is the human health concern, Anderson says. From 2016 to 2018, 113 individuals contracted a multidrug resistant campylobacter infection. This spread across 17 states, and 33 people were hospitalized. The Centers for Disease Control and other entities investigated the outbreak. Through epidemiologic and laboratory evidence, it was determined the individuals who contracted the infection had contact with puppies sold through Petland stores. The investigation did not identify a common breeder where the outbreak strain originated, according to a January 2018 report from the CDC. Puppies could have been infected at various points along the distribution chain, and giving the puppies antibiotics to prevent any potential infections along the way may have made the infection antibiotic resistant. The CDC warned pet owners that any puppy or dog, regardless of where it is purchased or adopted, could carry germs such as campylobacter that can make people sick. the ARL recommends reporting it immediately. photographs or video for investigators. coordinator at 515-284-6905. Abuse reporters can remain anonymous. from being able to prosecute the individual.